At the Wyoming Antelope Club we offer various types of 100 yard High power rifle competition matches. They range from fun shoots to NRA Approved events for the very serious competitor. All high power matches will be the 4th Sunday of the month. January through September with exception for April. April match will be held April 30. Rules: All current NRA High Power rules will apply. All 800 point matches will be NRA sanctioned. 500 point matches will be “club”. Matches and not NRA sanctioned. In club matches shooters can opt to shoot a 500 point or 800 point course. Eligibility: Open to all NRA classified competitors and qualified WAC members. NRA Matches $20.00. NRA award points not accepted. WAC Matches $15.00 No awards will be given in club matches. 3700 126th Ave N, Pinellas Park, Fl. Squadding: Registration and target assignment begins at 0800 AM. Classifications: The NRA classification system will be used. Rifle allowed: NRA Service Rifle – Rule 3.1. NRA Match Rifle – Rule 3.3 Metallic Sights only. Rule 3.3.2 NRA Any Sight Match Rifle/Tactical Rifle. All other rifles covered by NRA and CMP 2016 rule changes as introduced. Match and service scoped rifles and iron sight rifles will shoot as a combined class due to NRA rule clarification. Two classes. Match and Service. Ammunition: NRA Rule 3.17, provided by competitor. Scoring: Competitors will walk and score targets. Competitors with physical limitations that need assistance should notify the Match Director in advance. Internal crossfires will be scored as misses. Match 1: 2 sighting shots, 10 shots standing, off hand in 12 minutes. Match 2: 2 slow fire sighting shots, then 10 shots sitting rapid fire with a magazine change in 60 seconds. Match 3: 2 slow fire sighting shots, then 10 shots prone rapid fire in 70 magazine change in 60 seconds. Match 4: 2 slow fire sighting shots, then 20 rounds prone in a total time of 22 minutes. Match 5: Overal aggregate of Matches 1, 2, 3, & 4. Match 1: 2 sighting shots, 20 shots standing, off hand in 22 minutes. Match 2: 2 slow fire sighting shots, then 2 strings of 10 shots sitting rapid fire with a magazine change, 60 seconds each string. Match 3: 2 slow fire sighting shots, then 2 strings of 10 shots prone rapid fire with a magazine change , 70 seconds each string. Awards will be given to the Overall High Service Rifle and Overall High Match Rifle winner and Aggregate class winner for classes with 3 or more entries. 3 competitors are required to make a class. Classes will be combined to make a class if necessary with exception of the High master class. 2nd and 3rd place awards will be given for classes that exceed 3 or 5 entries, respectively. In any class with 3 or less entries and 1 competitor in that class is an Overall match winner, no other awards will be given in that class. Additional Information: Empty chamber indicators are required and are available for $2.00 each. Due to range location, competitors are required to keep all fired rounds on their targets. Off target misses are justification for disqualification by the Match Director. In the case of disqualification from the match, any fees paid will not be refunded. Use of spotting scopes in all 4 matches that are capable of allowing shot holes to be seen are mandatory unless rifle is equipped with a magnification power that allows shot holes to be seen. Please come with a 100yd zero. The following requirements must be met to, hold a WAC High Power Rifle Discipline Certification Card, shoot from position and to have access to the High Power range. Show up with a positive attitude. Be willing to help as needed to maintain the high power range. Must be a current WAC member and/or hold an NRA classification. Possess correct firearm for chosen discipline. Have knowledge of, and adhere to, WAC rules. Be willing to put in the time for training and practice as needed to be competent in chosen discipline. Successfully completed Qualification requirements and approval from High Power Director. Remain active and participate in competition events. (Minimum 2 per year). 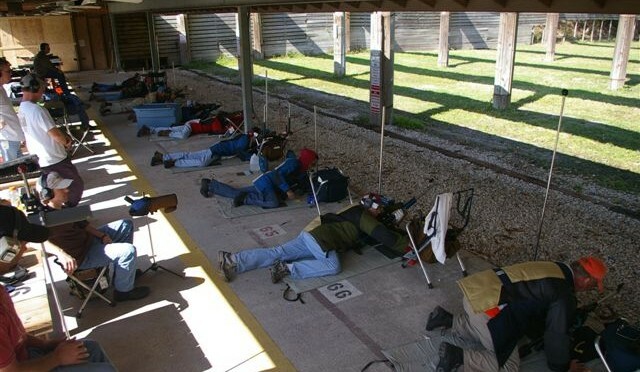 Use of the competition range for any shooting from position requires that the HP range must be supervised by an approved High Power Rifle Competition Range Officer. Anyone interested is urged to drop by the competition range and observe anytime. Everyone is welcome. The High Power Rifle discipline will be holding some “Sniper” all prone fun matches in 2017. Due to increasing interest we will continue to have the Sniper matches immediately following the high power matches every 4th Sunday with exception in April. April’s match will be the 5th Sunday which is April 30. Registration will be approximately 12 noon. Arrive at the high power range about 11 am and join us for a lunch break and BS session. We will fire up the grill for burgers, dogs or chicken wings, etc. Just throw in a few bucks toward the cost of the viddles since we buy this ourselves. Leave your firearms in your vehicle until we go through our safety meeting and sign in. We will sign in at the high power range. Range fee is $5 for shooters that fired the high power match and $10 for everyone else. This pays for range fees and target costs. Bring at least 50 rds of ammo or more if you have it. We have a few mats and spotting scopes but if you have a piece of carpet, blanket or anything to lay on bring it. If your rifle is not equipped with a scope that will allow you to see bullet holes at 100 yards bring a spotting scope if you have one since we only have 3 or 4. We will spot for you if need be. Email me if you plan to participate so I can prepare enough targets. Sniper matches will be at 100 yards, all prone or whatever position chosen using slings, bipods, rests, a log, dead horse, etc. or a combination. Please do not use a real dead horse. That was a fun example to make the point that any support that may be available for a sniper is OK. Centerfire scoped rifles will be needed since some of the targets are reduced to resemble a 1600 yard shot at a bad “object”. The targets will have + points for good hits and – score points for shooting the good “object”. The Sniper matches will be open to scoped rim fire rifles or center fire rifles. Absolutely NO MUZZLE BRAKES. Match is fired from the prone position (unless not physically able). In that case we will let you use the bench. Classes will be split between Rim fire and Center fire. You do not need an Anschutz, 6BR or similar expensive rifle. A Ruger 10/22, vintage single shot, hunting rifle for example will work as well since classes will be split up. These matches will be for fun and bragging rights. Shooters do not need to be High Power competition competitors. We will fit everyone that is interested in the mix. Dig out those $4000 dollar tack drivers, AR’s, tactical rifles or grandpa’s relic and get them ready. A 100 yard zero will be required. We can help get a zero but try to have one to save time. Please pass the word and/or send me an email so I can judge interest before I make targets.